One of the meals I received from Sun Basket was a Vietnamese cod over rice noodles and mango salad on the side. They sent all the ingredients needed to make this dish, The only things I needed from my own pantry were cooking oil (I chose an organic olive oil), salt and pepper. Here are all the ingredients Sun Basket sent to use. This was pretty quick to make! I was surprised how easy it was! Plus, what I love is that I can make this again and again, because the ingredients aren’t hard to find! Trust me… this one, I’ll be making again! First, I prepped the cod. Cutting the fillets into 1 1/2-inch pieces. Then, in a bowl, combined the marinade base (fish sauce + turmeric) with 2 to 3 tablespoons of organic olive oil. It tends to separate quickly, so you may have to whisk or use an emulsion blender stick. Set aside 2 tablespoons of the mix to use later with the noodles. Add the cod pieces to the bowl and gently stir to coat. Let stand while you prepare the noodles and mango salad. Bring a pot of salted water to a boil. Add the rice noodles and cook until tender, 4-5 minutes. Drain and rinse with cold water to stop it from cooking. Rinse again with very hot tap water to remove the excess starch, then rinse a final time with cold water to firm them up. Trim the root ends from the scallions, cut the scallions into 1 1/2-inch pieces. Remove any touch stems from the dill leaves. Peel and pit the mango, Cut into chunks or slices. Zest the lime, juice half and cut the other half into wedges. In a bowl, combine the mango slices, lime zest and juice, mango dressing, and as much kimchi flakes you want. Season with salt and pepper. Toss to coat. In a pan over medium-high heat, warm 1 tablespoon oil until hot, but not smoking. Add the cod with it’s marinade and cook until the fish begins to turn opaque, 1-2 minutes. Turn the cod, add the scallions to the pan and cook till the cod is cooked through, 1-2 minutes longer. Stir in the dill and remove from the heat. To serve, transfer the noodles onto a plate or bowl. Spoon some of the reserved marinade over the noodles and top with the cod, scallions and dill. Garnish with the peanuts, and serve with the mango salad and pineapple-anchovy sauce on the side. How amazing does that look?? It was so delicious! The cod was flaky, the sauce was very bright and flavorful. The noodles absorbed a lot of the flavors. I didn’t need to use much of the pineapple-anchovy sauce, but it was a nice addition. The mango salad was sweet and salty. I will be making this again! It was very filling. 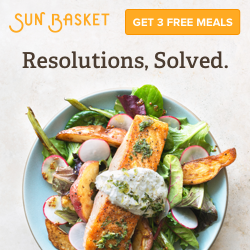 Sun Basket does a great job on giving you the correct amount of ingredients for a full meal.I wouldn’t change a thing! So, as a mom I can say, baby wipes are my best friend. With every dirty face and sticky finger, I keep a stack of baby wipes near me at all times. However, the chemicals and fragrances that are in them, I have always HATED using them on my children. My poor babies would scream if I wiped them when they had a diaper rash and it took me forever to realize that the wipe was in fact making the rash worse. Nothing like rubbing chemicals on an open wound.. There are a ton of ingredients that are hidden in baby wipes. One being formaldehyde… You may not see it on the label… but it’s there. Formaldehyde releasers are lurking.. Look for these common ones..
How about those lovely carcinogens?? Yup..they are in there. Some to look for are Ethylene Oxide and 1,4-Dioxane.. Cancer Causing… If you can’t find those on the label. Look for these instead. Ya no thank you….Solution= Make Non-Toxic baby wipes!! The way to make these baby wipes can not get any easier. It’s minimal ingredients and will take less than a couple minutes. Wipes are DONE! Easy Peasy! Store in an airtight container. 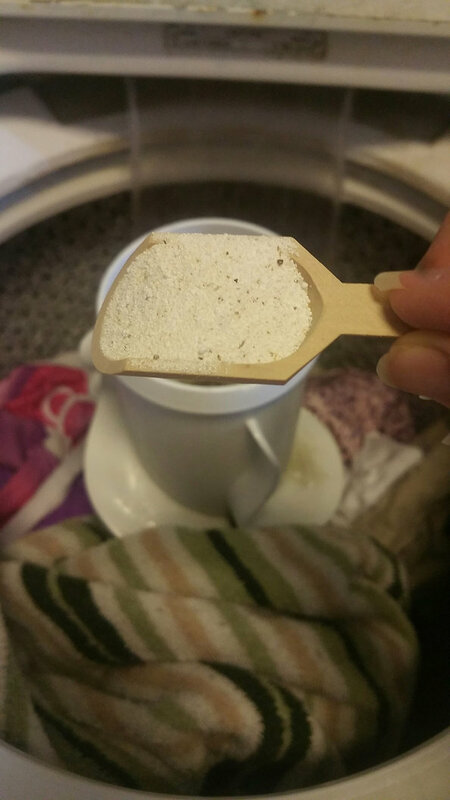 Another huge benefit to making your own baby wipes is….. SAVING YOU MONEY!! You may not think that it’ll save you a lot, but on average almost $400 is spent yearly on packaged baby wipes. 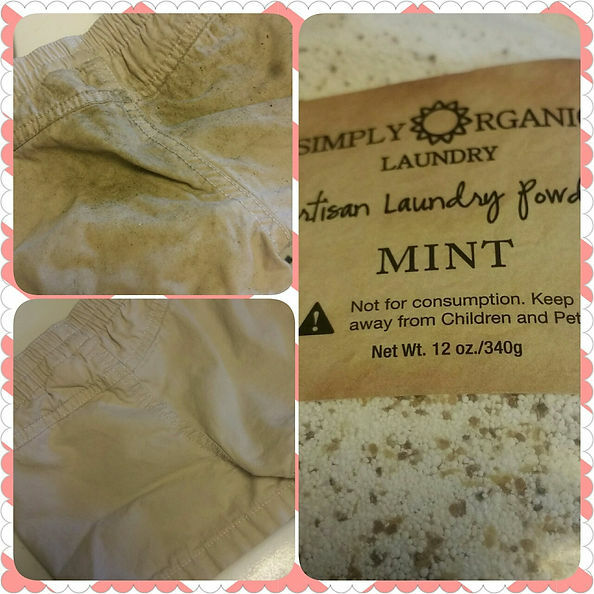 Making your own baby wipes, even ones that are non-toxic will only cost you around $167 a year! Do you make you own wipes? What are you favorite wipe recipes? One thing that my oldest daughter always loved was cereal bars. I would give them to her, but I was never all that confident in the ingredients. High fructose corn syrup and nasty binders. Since I started “doing my homework” and learning more about food and reading labels, I realized I didn’t want to give any regular cereal bar anymore. I was happen when I came across Plum Organics Mighty 4 Nutrition Bars. These are perfect for toddlers! For 70 calories, they are once again perfect for kids. I give one to my daughter when she needs a little snack before dinner to help hold her over. Another one of my favorites from Plum Organics is the PUFFS!! I don’t know what I’d do without puffs.. They are naturally flavored with strawberry and beets and they are sensory foods! Puffs are one of the first little snacks that kids usually get. Something that they can play with and eat to keep them occupied for the moment. They are a puffed grain that are small, but easy to pick up with little kid’s fingers. So, not only are they good, but they teach children to use their fingers. Pretty cool! See…she loves it! My oldest daughter who is 3, loves them just as much. Not gonna lie, I’ve had a handful or so as well. They are just fun and crunchy! I know there are brands out there that do make “puffs”, but please… read your ingredients. Plum organics really has what you want. Not all the artificial stuff.. Modified rice, artificially flavored and dyed. yeah ill pass.. Plum Organics doesn’t cost much more than Gerber or the store brand.. but if you compare the ingredients you’ll see what I’m talking about. Do you like Plum Organics?? What is your favorite product from Plum? Yay!! 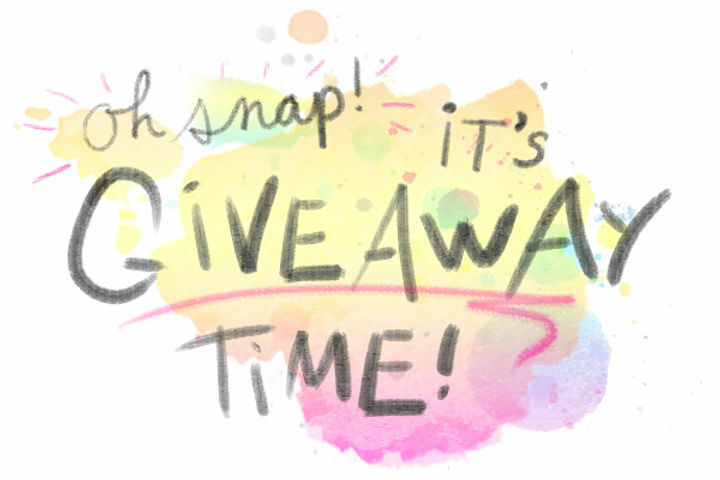 Another Giveaway and this one is an awesome one for summer! Late night playing outside and catching fireflies, may mean the awful bug bites! I have just the treat for you! 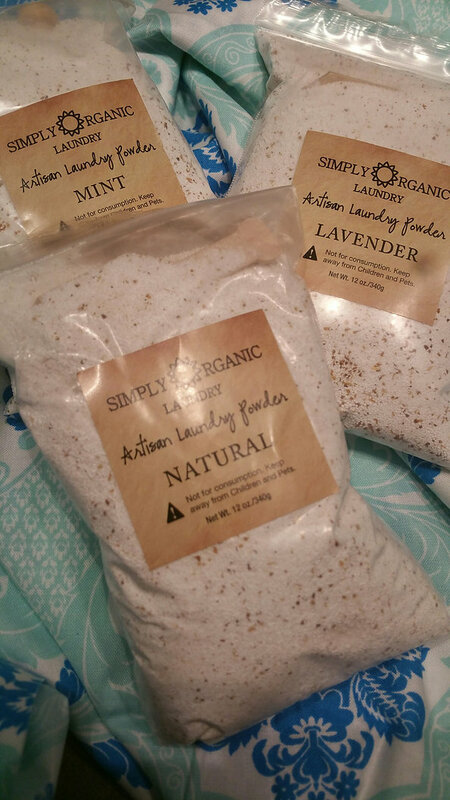 OR go to Oh My Organics Facebook Page, Like the page, share the giveaway and comment! Or you can #repost the giveaway on Instagram and comment! Winner will be chosen on Sunday, July 24th! I love oatmeal. Its quick to make and very filling. A great grab and go breakfast. Even better, Bob’s Red Mill make these quick cooking cups that are convenient when you’re running out the door. Upon opening the cup, I was pretty impressed. You could see all the ingredients. 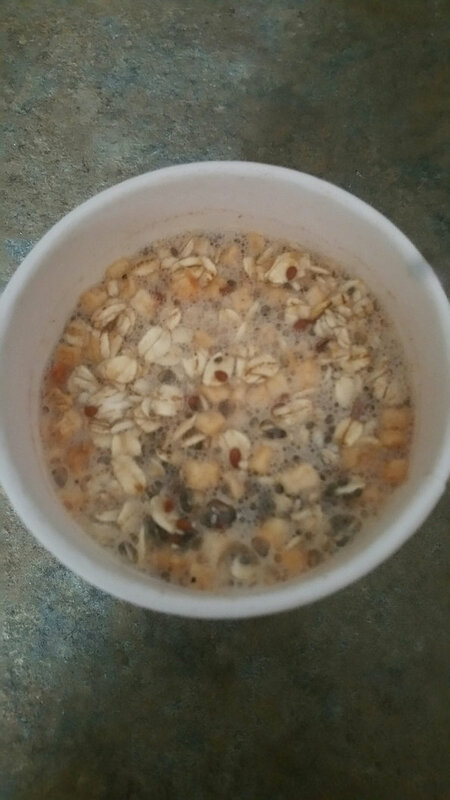 The Oats, cinnamon, salt, apple chunks, chia seeds and flax seeds. 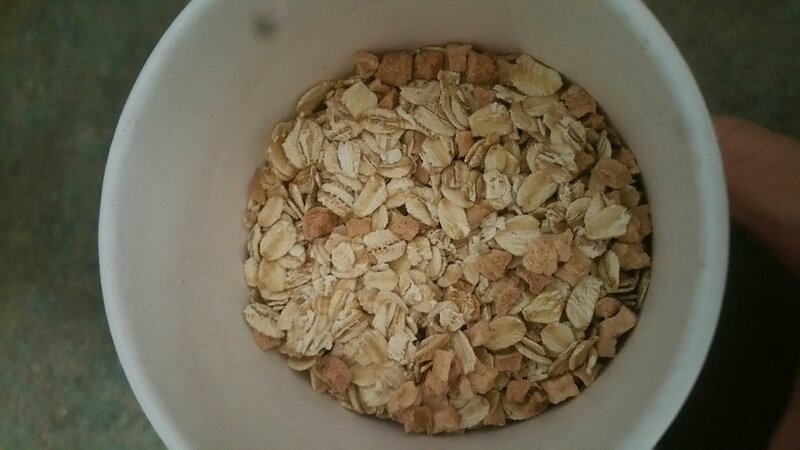 There weren’t bits and pieces, they were whole oats and quality ingredients! This was super easy to make too. I boiled water in my percolator and filled the cup up to the designated line. Put the lid on it and waited the suggested 3 minutes. However, I felt like it needed a couple more mins to fully absorb all the water. Nonetheless, it was still quick. Once it was done doing it’s thing… it looked and smelled amazing! 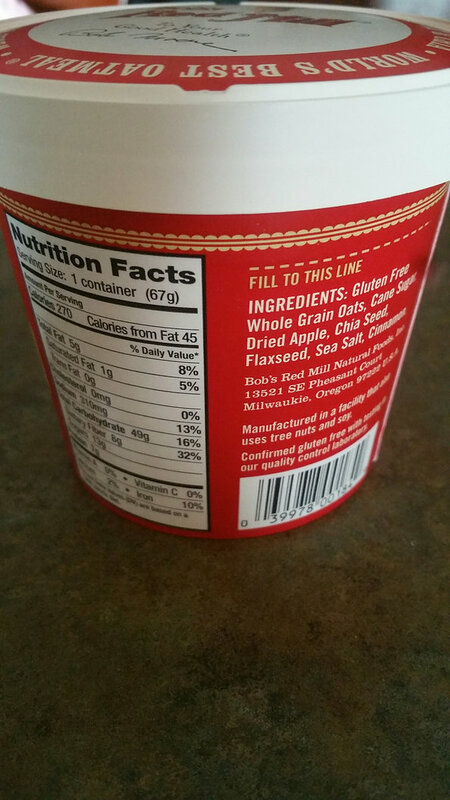 If you’re used to eating a packaged oatmeal, say like Quaker Oats or some other conventional brand, you’ll notice that Bob’s Red Mill is not as sweet as the others. It doesn’t have all the extra added sugars and who knows what. Which you could see the difference, because it wasn’t powdery like the conventional brands. 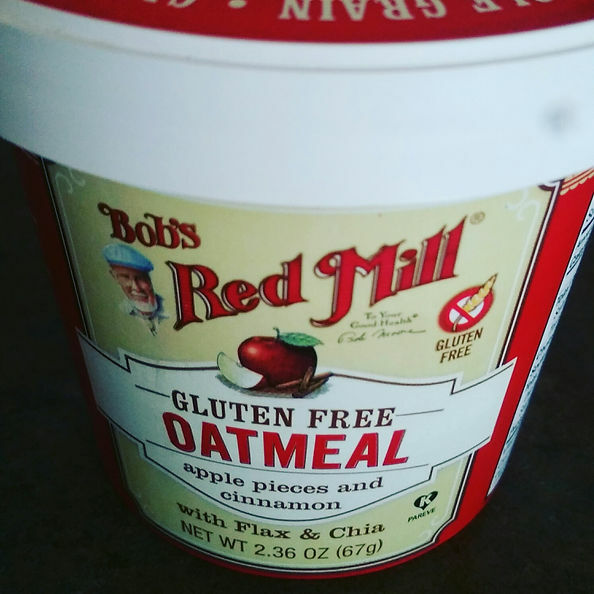 The only thing that I may add to the Bob’s Red Mill is a little more organic cinnamon. The nutritional facts are great! For only 270 calories that filled me up, I was excited! Pair this with a banana and breakfast is complete! 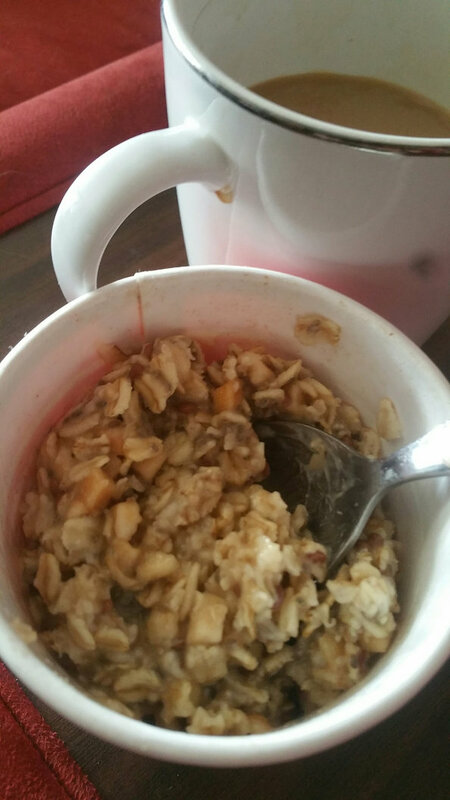 Overall, this is a great oatmeal! I loved the apple chunks, as they don’t skip on the quality and amount! I had a bunch in every bite! The one thing I will add though…..please wait for it to cool! Those little apple chunks can get super hot and will burn your mouth if you’re not careful! I will definitely keep these oatmeal cups in my pantry at all times. My husband was a huge fan of the blueberry oatmeal that they carry. They run about $1.88 at the store, which is a great price for an all natural, gluten free breakfast! If for some reason you don’t have Bob’s Red Mill at your store, you can also purchase them here in a 12 pack of multiple flavors. What is your favorite kind of Oatmeal? Tell me down in the comments! If you have never seen or had Kevita, I suggest you head to your local grocery and see if they have it. It’s delicious! It’s bubbly and refreshing. Great to sip on and enjoy! 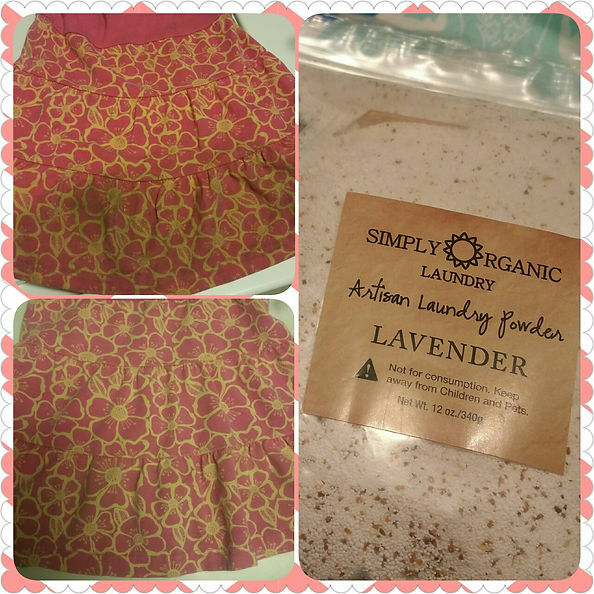 My husband always loves when I bring home new things for him to try…. (sarcasm at its finest right there).. When we got home the other night and I was unloading groceries, I told him I had something new for him to try. He wasn’t at all excited but he is a good sport. He is a huge fan of anything lime, I thought the Lime Mint Coconut would be right up his alley. He popped the cap and took a big gulp, not realizing the lime is very strong. It struck him right in the jaw. After a few more sips, he kept saying “I really like this! !” Yay! WINNER!! I tried this one as well. Its full of lime in the beginning and the mint comes in real light with a coconut finish.. I had the Lemon Ginger, I love it. Just like the Mojita one, its light, crisp and refreshing! The Ginger gives it a nice kick. Reminds me of a spicy lemonade. Not only does it taste great, it has 4 live strains of probiotics, so its great for you! Kevita is organic, non-GMO, low in calories, and non-dairy. Naturally sweetened with stevia and contains no added sugar. This is something I will definitely continue to buy every time I go to the grocery! I suggest you to do the same!! 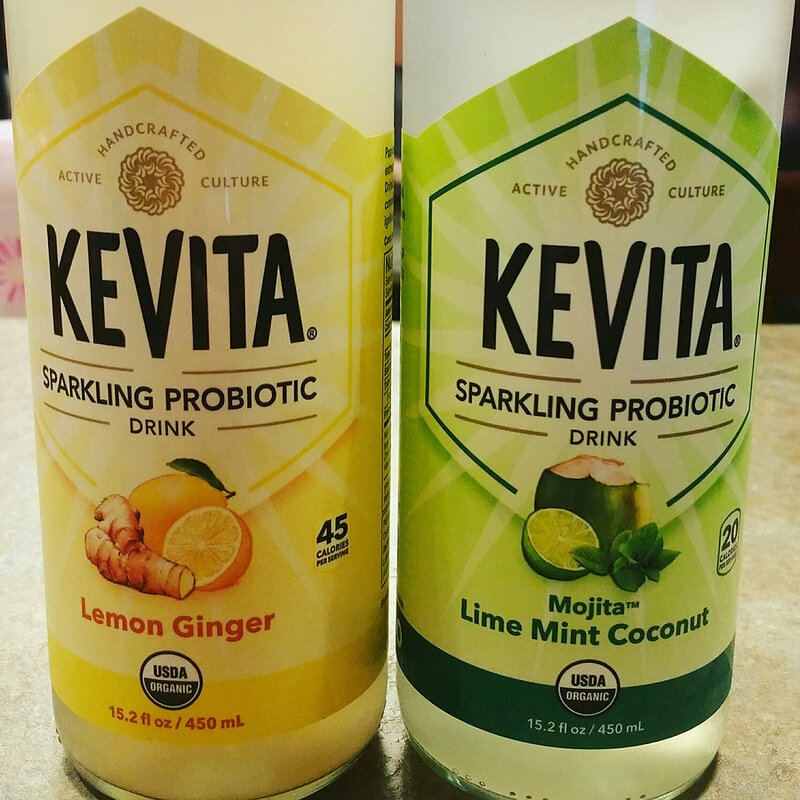 Have you tried Kevita? What are your thoughts? I used to live off frozen dinners. They were cheap and convenient, but horrible! Nothing like microwaving plastic wrapped processed food….mmmmmm… Plus, a lot of them are targeted towards diet and weight loss. This is where they got me. 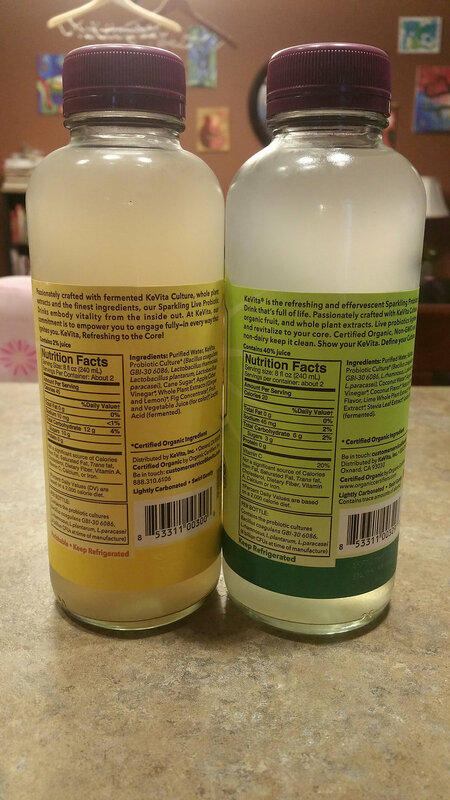 Sure, some tasted good but when I started reading labels, it turned my stomach. I couldn’t believe I was eating that. Over time more and more companies are leaning more towards all natural foods, better ingredients, safer packaging and the ability to cook the food without a microwave. So, after about 5+ years of not eating these convenient meals, I thought I would try one. I had some coupons from Amy’s Kitchen and decided to see what they had to offer when I was at the grocery. I’m a sucker for thai food. So, it was a no brainer for me in getting the pad thai. 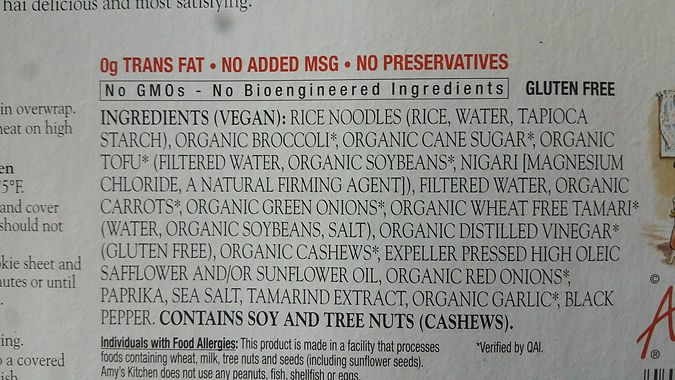 Reading the back of the package, they stated that their company is very strict on the ingredients that they use. They also prefer to only use organic ingredients and promise not to use any GMOs. So I was happy with this. 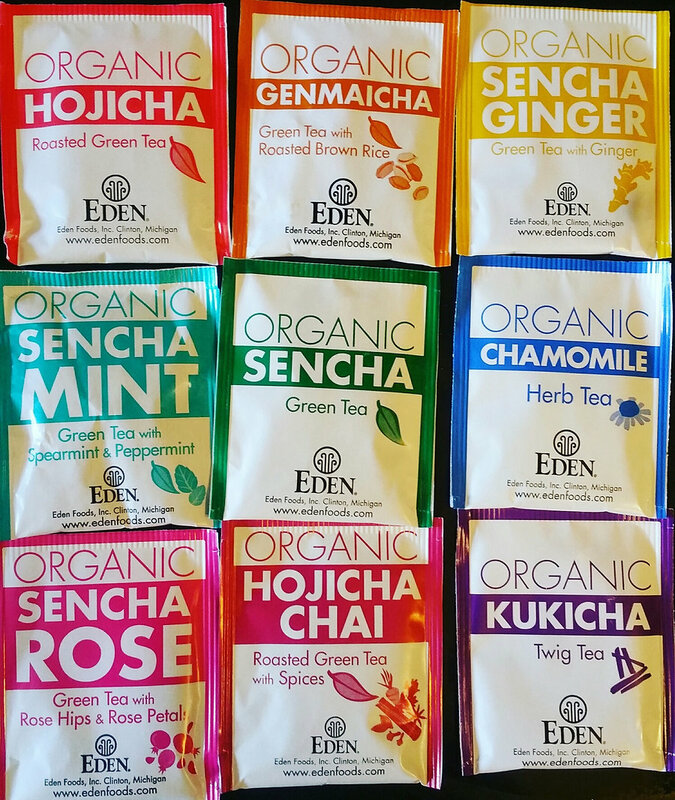 Their ingredients looked great.. plus I was happy I could pronounce all of them. I was pleased with the option to heat in a conventional oven or toaster oven. The packaging wasn’t a plastic container like many frozen meals which is why I was able to pop it right into my toaster oven. It was done in about 35 mins. For those that like to microwave, it only takes a few minutes. I can say it wasn’t what I was expecting. 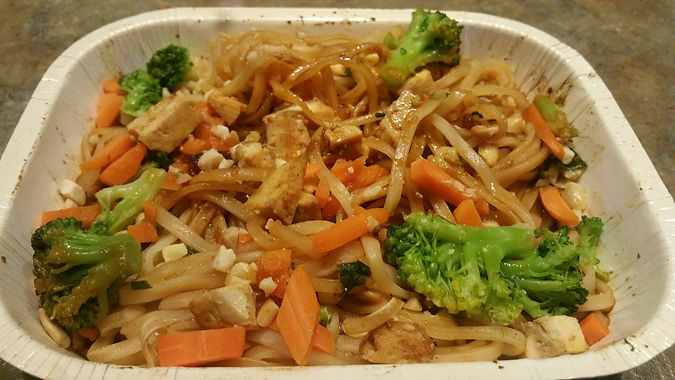 Usually pad thai has alot of peanut flavor. This version was lacking that. The flavor was kind of weird. I can’t explain it. I like the idea of them using cashews instead of peanuts, but for me this is what makes a traditional pad thai. The tofu was a nice addition, if I didn’t know it was tofu I would of thought it was chicken. The veggies all cooked up tender and crisp. The noodles were al dente and didn’t get mushy. The on downfall for me thought was the sauce like I mentioned. It ruined it for me. I only ate about a quarter of the meal and it was mostly the vegetables. I unfortunately do not think I’ll purchase this particular one again. 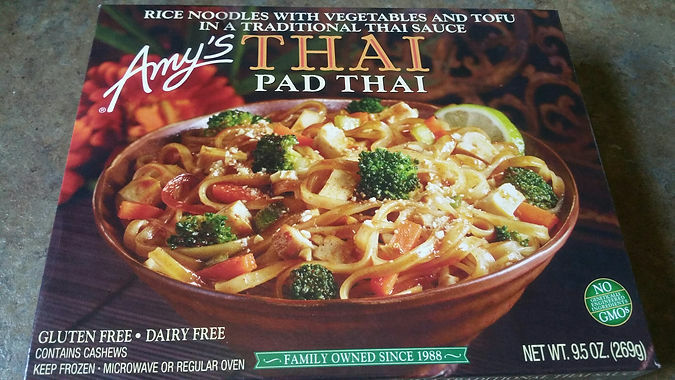 Have you tried Amy’s Pad Thai? What were your thoughts? Please share down in the comments!